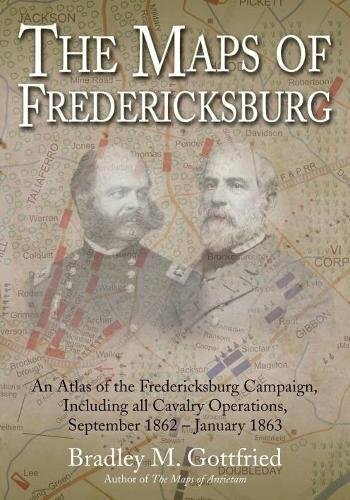 • The Maps of Fredericksburg: An Atlas of the Fredericksburg Campaign, Including all Cavalry Operations, September 18, 1862 - January 22, 1863 by Bradley M. Gottfried (Savas Beatie, 2018). 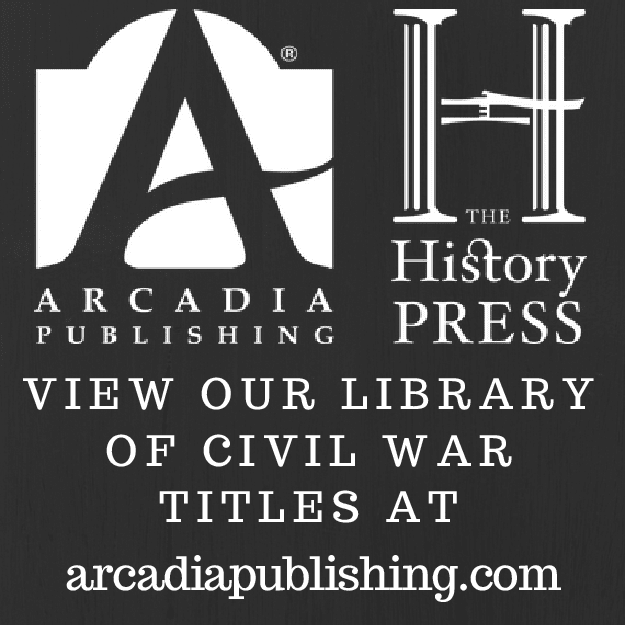 With the exception of David Powell's Chickamauga installment, all of the Civil War coverage from the Savas Beatie Military Atlas Series have been eastern theater titles from series creator Bradley Gottfried. His sixth and newest contribution is The Maps of Fredericksburg. 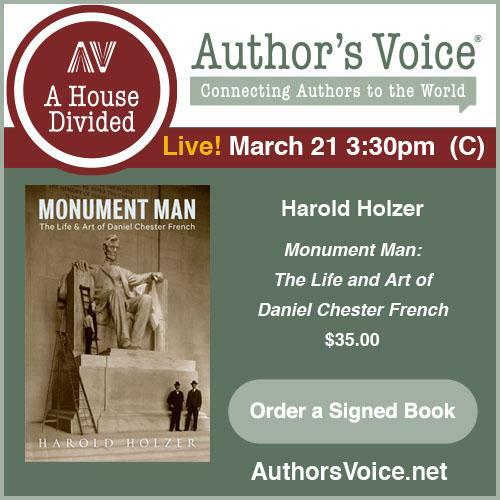 The volume begins on the day after Antietam and ends with the infamous "Mud March" that sealed the doom of Ambrose Burnside's short tenure at the helm of the Army of the Potomac. 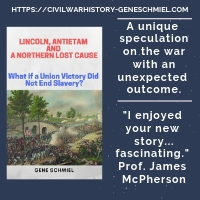 From the description: "After Robert E. Lee’s Army of Northern Virginia was forced out of Maryland in September 1862, President Abraham Lincoln grew frustrated by Maj. Gen. George McClellan’s failure to vigorously purse the Rebels and replaced him with Ambrose Burnside. The opening stages of what would come to be the Fredericksburg Campaign began in early October when the armies moved south. After several skirmishes, it became clear Burnside would force a crossing at Fredericksburg and drive south. Delays in doing so provided General Lee with time to get his troops into position behind the city. The initial fighting occurred on December 11 when a single Mississippi Confederate brigade gallantly delayed the Union bridge-building efforts. Once across, Burnside’s army prepared for action. The main battle took place on December 13, a two-pronged attack against Marye’s Heights on the Union right and Prospect Hill at the opposite end of the line. Neither was successful. Burnside contemplated another attempt to flank Lee, but the January weather conspired against him and he was removed from command." As expected, the combination atlas and narrative format remains the same as before. The Maps of Fredericksburg "plows new ground by breaking down the entire campaign into twenty-two map sets or “action sections,” enriched with 122 detailed full-page color maps. These cartographic originals bore down to the regimental and battery level, and include the march to and from the battlefield and virtually every significant event in between. At least two—and as many as ten—maps accompany each map set. Keyed to each piece of cartography is a full facing page of detailed text describing the units, personalities, movements, and combat (including quotes from eyewitnesses) depicted on the accompanying map, all of which make the Fredericksburg story come alive." At the rear of the book can be found explanatory endnotes, orders of battle, bibliography, and index. I find that Gottfried's atlases are of particular use to read immediately after a battlefield visit. Always look forward to them.